Over the last several years, each of A Day To Remember’s releases have hit No. 1 on Billboard’s Rock, Indie and/or Alternative Charts. Their sound is unlike any other, a fusion of metalcore/pop/punk, very high-energy. The band was named “The Best Live Band Of 2015” by Alternative Press in 2015 and Rolling Stone has called them “An Artist You Need To Know.” We’re excited to see the show they bring to Rock Fest. See A Day To Remember perform Rock Fest on Saturday, July 14 in Cadott, Wisconsin. Pit Passes are still available—get them at http://bit.ly/RockFest2018. 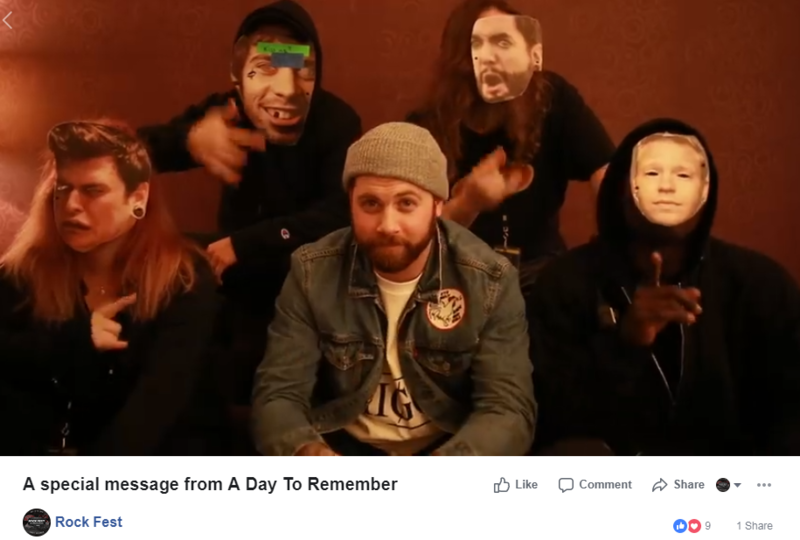 Visit our Facebook Page to watch a special message from A Day To Remember. Rock Fest is the top rock music festival and camping event in the U.S. featuring 65+ bands. Copyright © 2017 Rock Fest.